The Japanese Tech giant -Toshiba - has postponed the publication of the quarterly earnings. Toshiba faces supervision under the security laws and delisting if the results are not presented today. Last year there was a book keeping scandal that cost many top leaders their job. Toshiba's future may be at risk. Toshiba is a Japanese tech flagship with roots back to 1875 and has been a world leader in tech development and holds a significant position in the development of Japans modern industry. The company has 167000 employees. Toshiba is seeking to sell parts of the company and may receive a Japanese bail out. The world economy is in a downward spiral. People are not buying things like they are used to. Saving their coins for hard times. Maersk and Hanjin are in financial troubles; loosing revenew by the minute. The last computer I bought was a Toshiba Satellite for my dad about 3 years ago. After he passed away, I installed Mageia 5 and added RAM to its 16GB maximum; no reason to replace. I have two Toshiba laptops and they are both running Linux. One is a Centos server and the other is Manjaro. 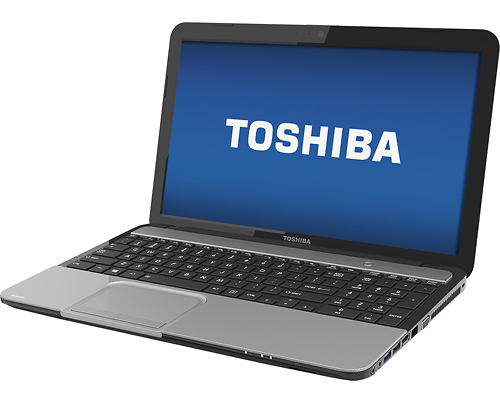 Toshiba laps are good and do not have hardware limitations - like only running Windows. Toshiba is way more than laptops. In fact the laptops hardly matter in this picture. The Nuclear power plant activity in America, certainly does. Since the thread was on the top of the list, i would like to share something too. My dad got a toshiba movie camera back in the mid 80's with flash too. It was too heavy but really great build quality. Never got anything from toshiba after that nothing at all. Reading the thread threw me back to that time when i used to just play with all day as camera person. I threw the laptop as a example. Of course, Toshiba makes a myrad of components for products and products. People are not buying as they used to and the Westinghouse debacle. Westinghouse has been reduced to just few things and they are the top USA builders of Nuclear Powerplants. The previous admin harped long and hard the so called "Clean Energy" that is nothing more than a taxation scam. Nuclear Poweplant businesses has been reduced. That adds to slowdown in the economy and Toshiba owns Westinghouse Nuclear business. All is tied together and the #1 common denominator is the Globalistic Financial Agenda that is failing at a global scale; since all is interconnected financialy. My dad bought Toshiba laptop from HongKong back in 2006 and believe it or not, it is still running. Toshiba used to be a good quality brand but now everything is moving so fast and is very fragile. HBLEY wrote: My dad bought Toshiba laptop from HongKong back in 2006 and believe it or not, it is still running.